I am running a web design business called Web Studio Arachne in Japan. Each year, I create and publish an original PDF calendar, but this time we also created a calendar in Excel. 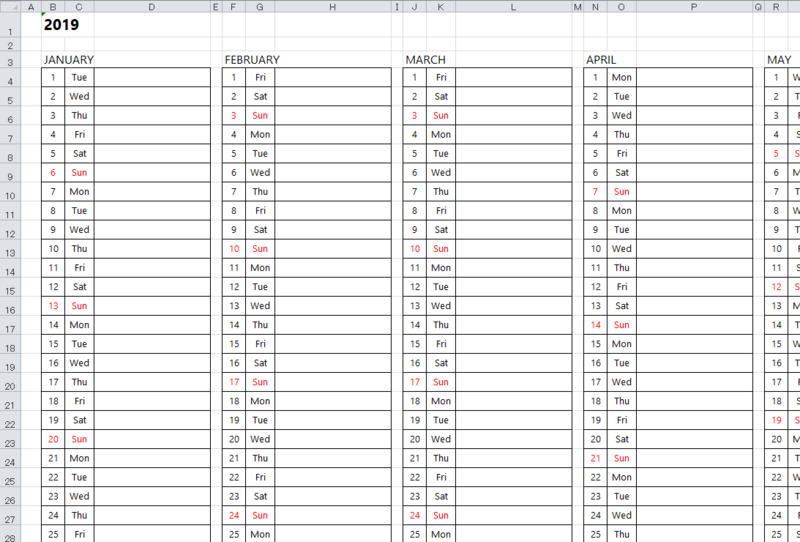 Based on the PDF calendar's design, this is an Excel template. 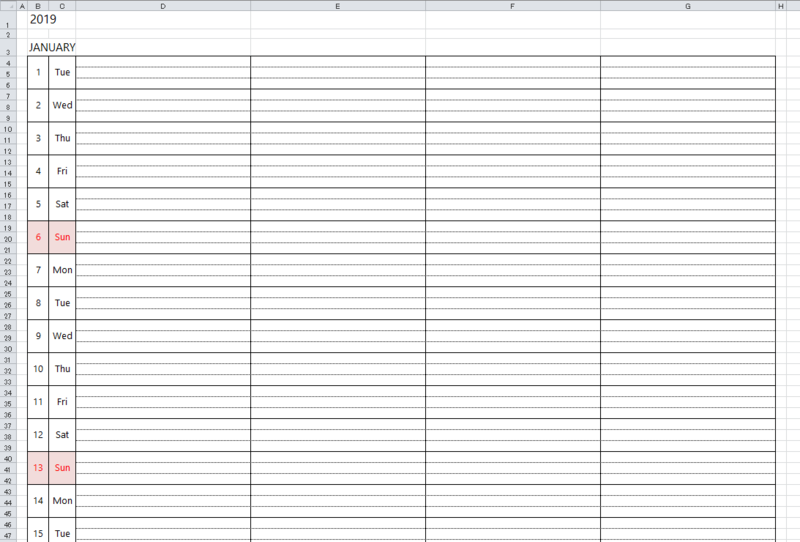 Since it is an Excel file, it goes without saying that you can take advantage of the format by freely entering data, copying and pasting, and adjusting the layout. Please use it in any way you see fit. 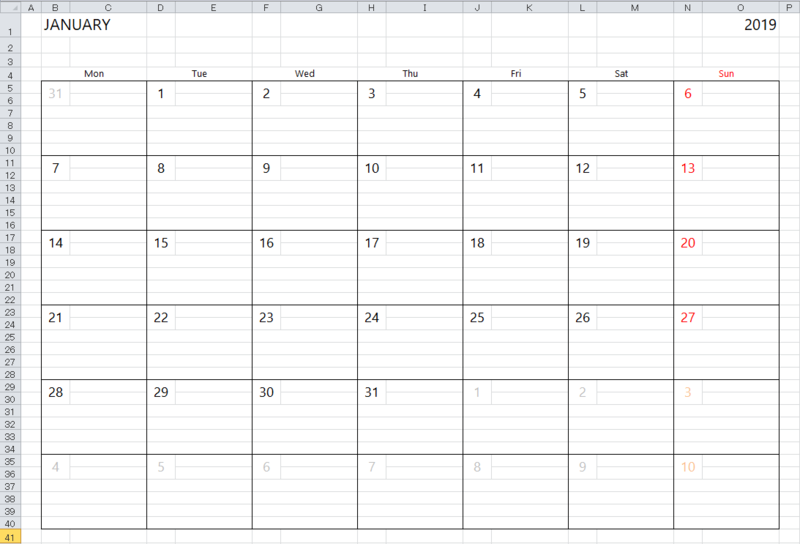 The PDF calendar that this Excel calendar is based on can be found on this page. More details can be found at this link, but on a simple calendar created using PDF, various calendar types are available, including ones that start on Mondays or Sundays as well as annual calendars. Also, through the layer function of the PDF format, it is possible to freely customize the elements that will be displayed. This is together in the same place, so please use it.